Camp Bow Wow South Salt Lake dog training services are specially designed to enrich your pup. Our premier dog training services offer flexible programs for every dog. The training methods we use are designed using only reward-based techniques to ensure your pup has the most fun learning experience. Our programs are exciting, effective, and enrich canines of all ages and behavior levels. One of our Camp Bow Wow Certified Trainers will work to design a program that meets your needs and your schedule. Contact Camp Bow Wow at (801) 288-2275 to schedule a session! 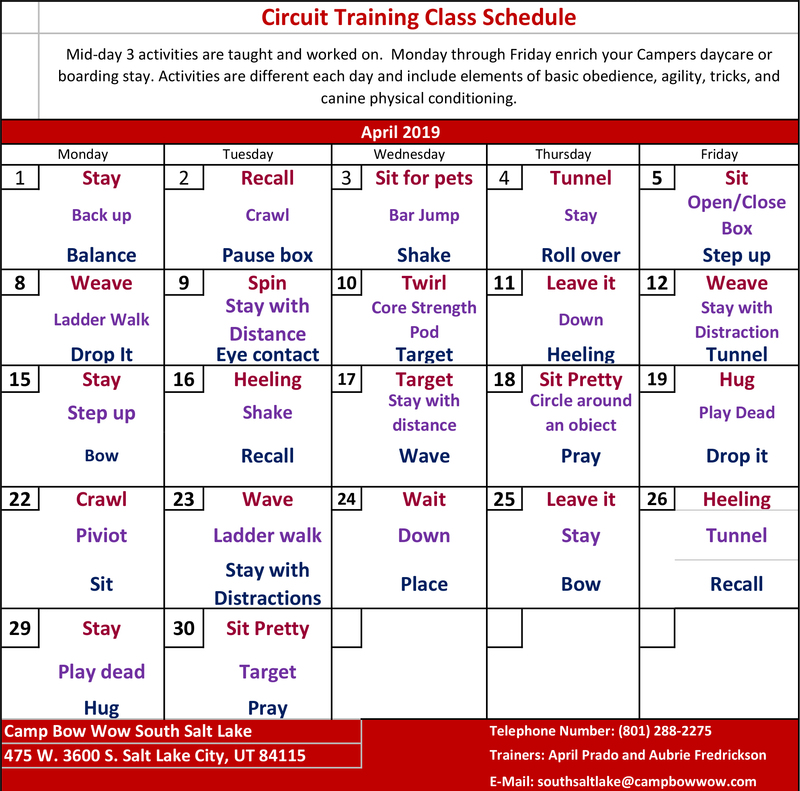 Camp Bow Wow South Salt Lake offers several options for our canine training. Our Certified Trainers can work with your dog while they attend Camp, spending one-on-one time with them. We can also provide training services working with you and your dog in a private setting if that’s most comfortable for you. These sessions can help your pup overcome behavior issues or provide enrichment. 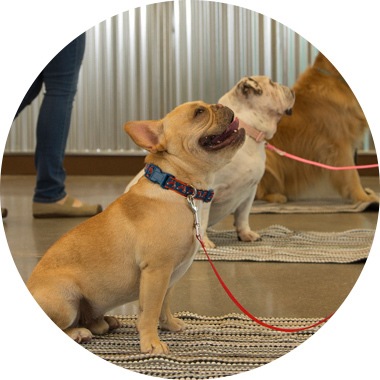 This enrichment and play training focuses on training and mental stimulation through tricks, games, and play for dogs of all ages and pet parents who want to keep their dogs learning. You and your dog will learn names of toys, distinguish between toys, distance targeting, open, close, balance, find it and more! 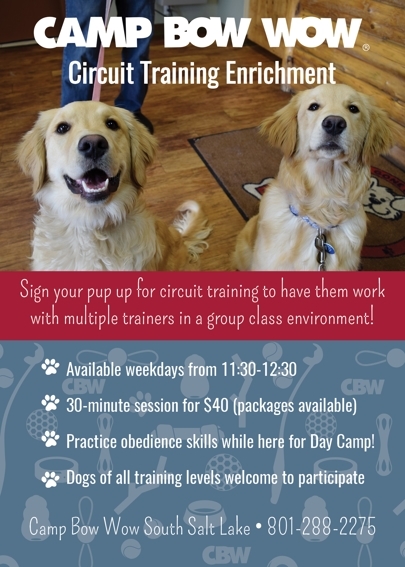 30-minute one on one training sessions while your pup is boarding with us at Camp Bow Wow. Session prices are in addition to Day and Overnight Camp rates. Campers attending in-Camp training must first pass our initial interview process. 1 hour private training session in the location of your choice within our training zone. 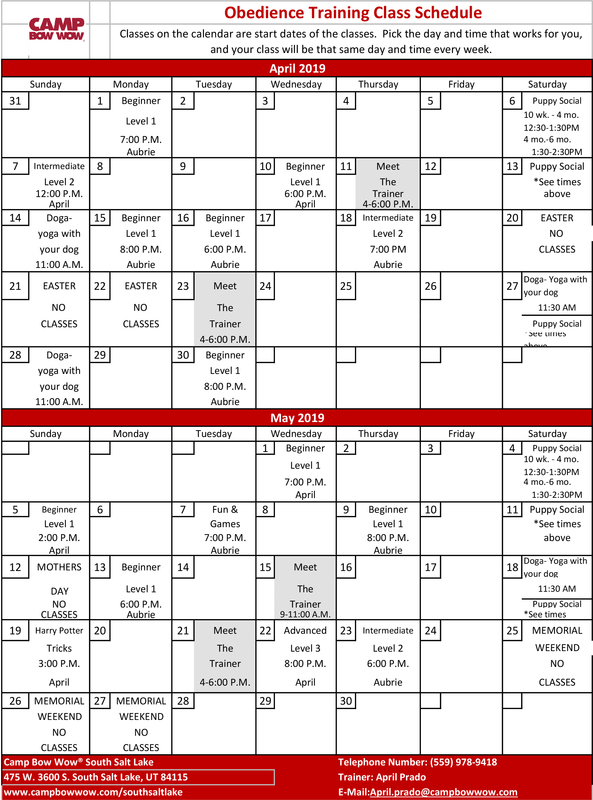 Our Certified trainers schedule one-hour seminars on specific topics. A few one-hour seminars our trainers offer are: - Potty training tips - four on the floor - no more jumping! - Storm phobias - Healthy and unhealthy foods Talk to our trainers about when the next one is scheduled.